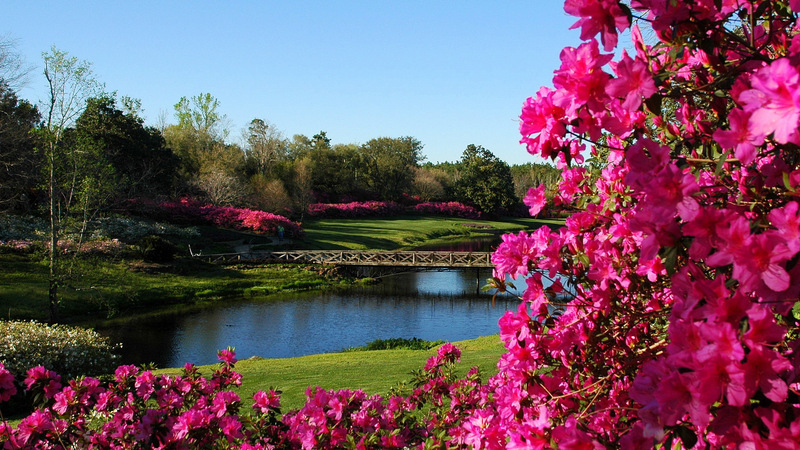 Bellingrath Gardens and Home is a 65-acre botanical garden and mansion located on the Fowl River in Theodore, near Mobile, AL. The site was listed on the Alabama Register of Landmarks and Heritage on September 14, 1977 and on the National Register of Historic Places on October 19, 1982. The property on which the gardens would eventually be constructed were purchased in 1917 as a fishing camp by Walter Bellingrath, President of Mobile’s Coca Cola Bottling Plant. 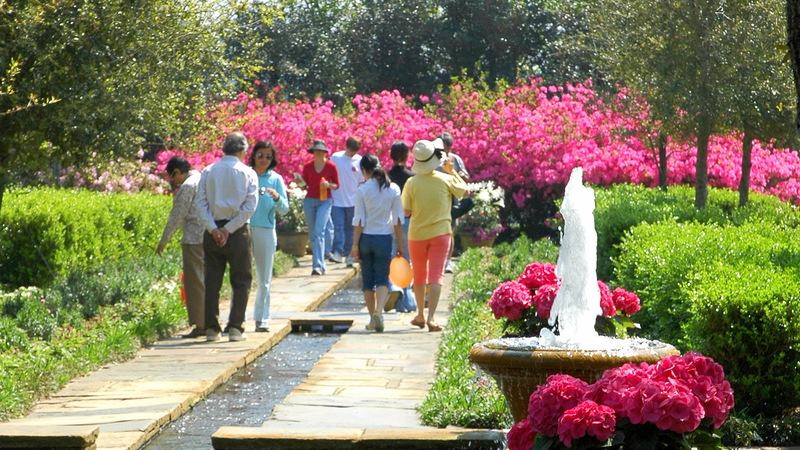 Mrs. Bellingrath began developing the gardens with architect George Bigelow Rogers in 1927. 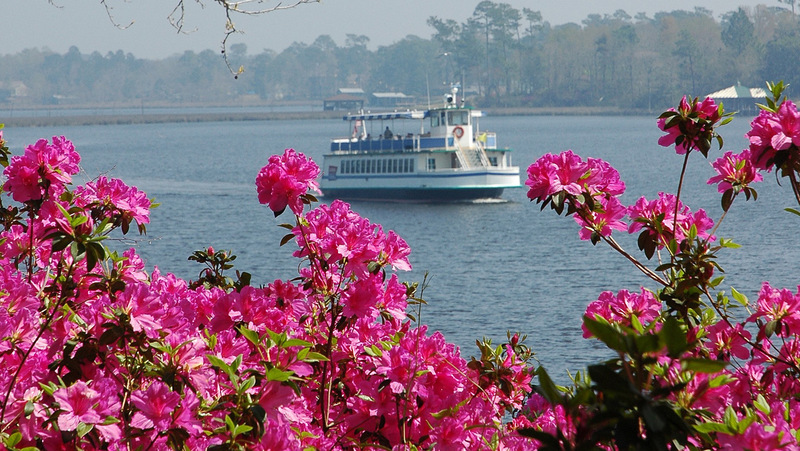 The gardens include a bridal garden, a conservatory, a great lawn, a nature walk, an Oriental garden, a rose garden, a chapel, the Mermaid Pool, Mirror Lake, an observation tower, and a river pavilion where river cruises are provided on the “Southern Belle” and the “Kingfisher” (seasonal). “Magic Christmas In Lights” at Bellingrath Gardens celebrates the Christmas season (the Friday after Thanksgiving through New Year’s Eve) with a display of over 3 million lights. Admission Fee: $21 for gardens and home or $13 for gardens only. Reduced entrance fee for children 5-12 years of age. Hours: Open daily from 8am to 5pm. Closed major holidays.